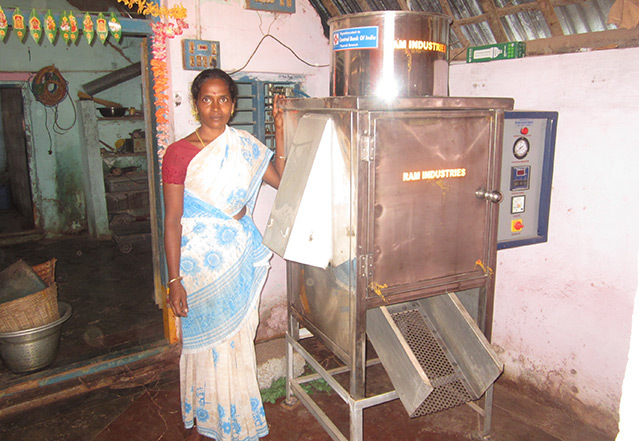 During the same time, Mayalakshmi met CARE India’s Women Leadership in Small and Medium Enterprise (WLSME) project team, which helped her to avail financial support including subsidies from a bank to purchase a new peeling machine, and employ more than 12 womenin order to reach the ambitious goals she had set for herself. Today, her income has increased four- fold, and she enjoys a stable financial condition. This has improved the quality of life for her family. She is now a role model for other women from the community, who are following her footsteps to fulfil their aspirations.